I produced my first Cabernet Sauvignon in 1981 as winemaker for Mount Veeder Winery, which at the time was one of the cutting-edge wineries elevating Cabernet production to a new level. Needless to say, Cabernet is now king in Napa Valley, due largely to the passionate innovators from decades past. In the years that followed, we had the luxury to observe and work with Cabernet from numerous regions. In 2011 we connected with two outstanding vineyards—both certified organic—that we believed had amazing potential to create a wine in our “signature” style. Howell Mountain needs little introduction. Located in the northeast corner of Napa Valley, the resulting red wines from the region are typically powerful, muscular, and intense. Although many choose to bottle 100% Howell Mountain Cabernet Sauvignon on its own, I think it best serves as the backbone of a wine and needs to be finessed a bit. Let me introduce Taplin Road, southeast of St. Helena, just off the Silverado Trail. Joseph Phelps and Heitz are legends in Napa Valley. They are on Taplin Road. Nestled between them is my eastern hillside vineyard—clone 341—offering grapes with wonderful charm, elegance, and volume, the perfect foil to Howell Mountain. Dark ruby in color, our 2014 Cabernet offers a cascade of forward and inviting aromas of dried herb, classic cassis, sweet vanilla, floral notes and even a hint of cardamom. Quite approachable, it dances on the palate with ripe moderate tannins and good acidity. The plum/cherry flavors remain refreshing, vibrant, and focused, never weighty. It is a wonderful counterpart to the more brooding 2013 vintage, and a testament to our belief that wine should be delicious! 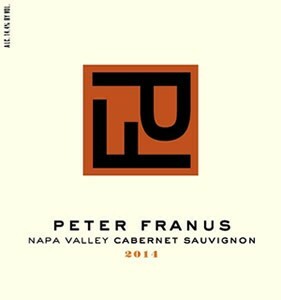 Graceful and full of pleasure, we present to you our 2014 Cabernet Sauvignon.